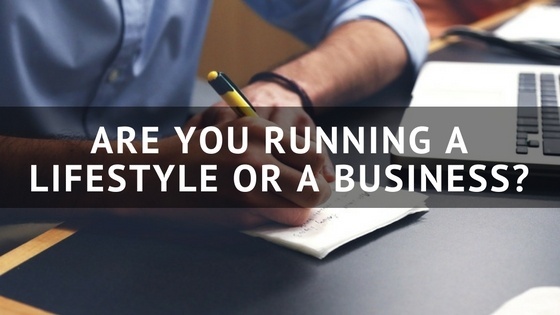 Key question, are you running your business as a lifestyle or a business? Next, why did you get into your own business? Hang on to your answers. A 2016 Green Industry Survey by HindSite Software revealed the following startling information. 82% of respondents experienced revenue growth. Yet…..
Who cares? Here is why you should care. Those facts are alarming because they show a large segment of green industry contractors really are not mirroring the success of larger American businesses and crafts like roofing, plumbing, HVAC and electrical. I’ll go out on a limb and say almost no one became a green industry contractor to first and foremost, make people happy. There are plenty of other career choices that would provide that opportunity and pay very well. Primarily, you must be in business to make money, and more money than being employed by others can provide. When did the shift from making serious money from your business take a back seat to creating happy clients? Happy clients are absolutely essential to your success, but you need to make money when you meet and exceed both the needs and expectations of your customers, with properly priced work. You will never make money when pleasing customers, and hoping if you do enough pleasing, you will somehow make serious money. You do not owe the world a lifestyle of service and consumption at your expense. Profit is your reward for making your customer happy. Profit can be planned for and built into every job. It is not what is left over by chance after your employees and bills are paid. Going back to the beginning, why are you in business and where are you going years down the road with your business? Are you in business because you like outdoor work, being your own boss, perceive a higher social standing, greater personal wealth or more time for personal pleasure or tasks as a business owner? Yes is a great answer, but no matter your thinking at the time you started, making money needs to become the number one reason for making the investment, working the hours and yes, making the customers happy. Unfortunately many green industry business owners discover it is nearly impossible to do all the needed tasks, and have enough working hours required to succeed. Let’s not confuse surviving with success. Many tasks such as bookkeeping, answering phone calls, parts and supply runs, and equipment maintenance do not get delegated to others because of a lack of trust or the available skill levels of others. Or is the expense of paying employees to handle some of your tasks, means employees make more than you? Fortunately these reasons and others can be changed for the better, and you will make more money as a result. Fear! It’s a powerful emotion. This is important for you because fear can be harnessed to motivate your customers to buy from you. They can fear disease, insects, drought, shoddy workmanship and irregular service if they don’t choose you as a landscape professional. Play that card to your advantage and raise your prices. Fear has no place in your business world. You can’t be afraid to raise prices or charge more when quoting. I raised prices regularly during my 43 year career, with never a negative impact. One contractor I learned about recently, found out he was so underpriced he raised his prices 25%. Result, no customers lost and only two even mentioned it. Your reality will never match your fear. You can’t be afraid of rejection when making a sale or raising prices. And you need not apologize or rationalize your price hike or quote to anyone. Do not talk about it and it will not be an issue. What can cure your fear or low profits? Knowledge! When you know your true costs of production, you can formulate prices for services or a bid for construction, then add a planned profit that you deserve. Fear goes away when you price and bid with confidence. A small business consultant and coach, can teach you the needed skills and guide you down the path of success. Why am I telling you this? Pricing and bidding with cost knowledge and a profit secured, allows you to not be influenced by what everyone else is charging. You will know your true costs and have added your needed profit. This is where success begins. You are picking the low hanging fruit at a very small cost for a huge, lifetime benefit. The value of top notch equipment, GPS to track your crews, and field service software like HindSite will suddenly begin to reach their full potential with what you will learn with business consulting and coaching. Harold Fox was a lawn care and irrigation contractor servicing residential and commercial clients in southern New Jersey for 43 years. He sold his company and retired in 2015. Harold is passionate about the financial success of green industry contractors. In 2016 he formed a business consulting company and began examining where the prices in the green industry come from. The goal is to help company owners earn higher profits during their careers, sell and retire securely. He found the majority of companies' pricing does not come from calculations relating to business costs, but are instead based on what others charge or guessing. His goal is to change the industry profit picture for the better, by teaching the knowledge and experience he learned and successfully used in his career. 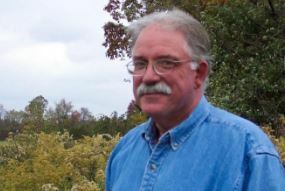 Harold has a degree in horticulture from Delaware Valley University. While there, he served as president of the horticulture society and was a member of Delta Tau Alpha honor fraternity. During his business career he served as trustee and president of the Irrigation Association of New Jersey. Want to take a look at some of the info Harold mentioned in more depth? Download the 2016 Green Industry Benchmark Report for free!